Vinyl Preservation Society of Arizona Social Spin Bookmans Entertainment Exchange Midtown 3330 E. Speedway Blvd. 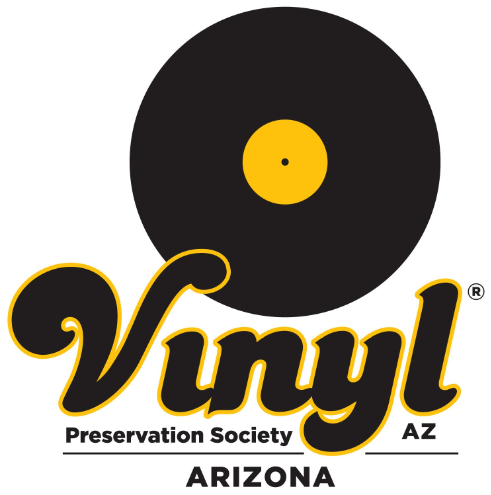 20mar6:00 pm8:00 pmVinyl Preservation Society of Arizona Social Spin6:00 pm - 8:00 pm Bookmans Entertainment Exchange Midtown, 3330 E. Speedway Blvd. Join the Vinyl Preservation Society of Arizona at Bookmans Midtown while they spin vinyl records to the tune of the month’s theme. Bring your own records (BYOR), select from provided borrow crates, or peruse our vinyl for sale in the store of any music genre, artist or band. Bring whatever you like! One free raffle ticket to win a cool LP or other vinyl related items will be gifted to all VPS members that attend. Must be present to win. What is the Vinyl Preservation Society of Arizona? An independent recreational society dedicated to communal vinyl record listening enjoyment and to support the preservation of vinyl record formats. All ages welcome. The purpose of the Vinyl Preservation Society of Arizona is to preserve our vinyl music heritage by fostering active, all-inclusive community building amongst the passionately interested and curious to promote enjoyment and education relating to vinyl records, record collecting, record playing and all associated matters of analog musicology regardless of listening tastes. In other words, VPS of Arizona is an independent social recreational cause dedicated to communal listening enjoyment. We advocate the patronage of local, independent music stores, related artists and businesses that help support free-minded music lovers, including vinyl enthusiasts, in their communities.